Whatever they're discussing, it seems really serious and dire, based on the expressions on our heroes' faces. Perhaps it has something to do with Luna and her people looking so rough. 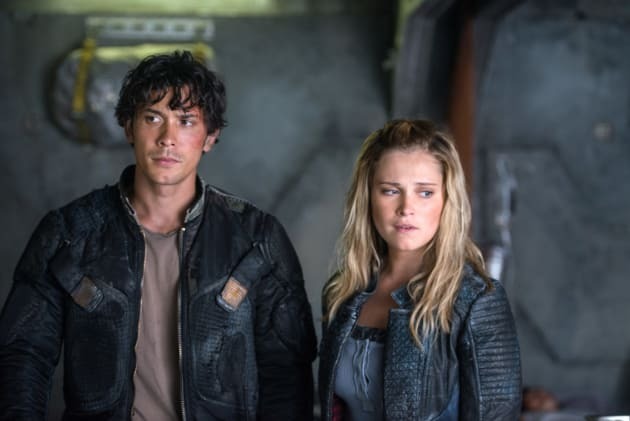 The 100 Season 4 Episode 3: "The Four Horsemen"
The 100: Renewed for Season 5!! What if I told you there might be a fallout shelter less than a day's drive from here? A fallout shelter built to sustain thousands. The 100 Round Table: Skairippa, "Death from Above"